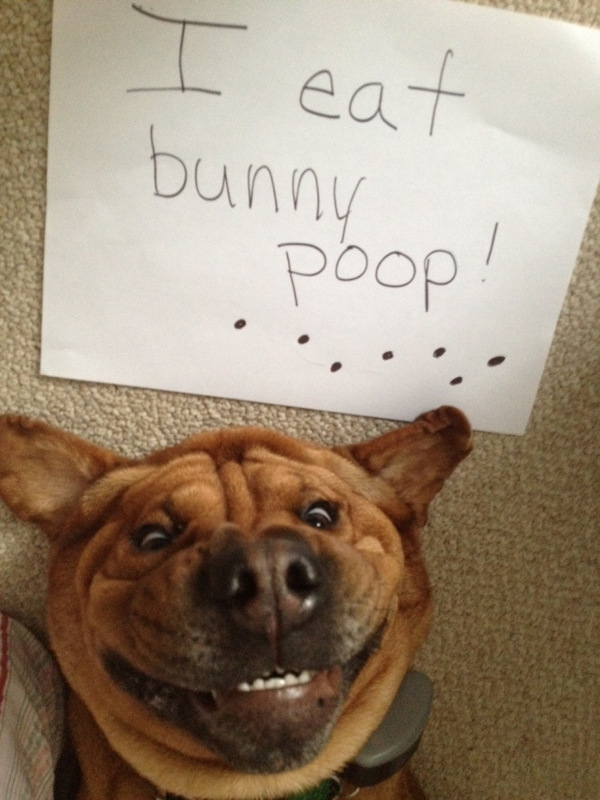 I eat bunny poop, September 24, 2012. So proud and ready to do it again. I have cats, but I love dogs, and especially this one. Crazy happy! This should have been in the Dogshaming Calendar, which I have, along with Bad Cat Calendar.